JACKSONVILLE, Fla. – The Centers for Disease Control and Prevention estimates that influenza remains prevalent in 45 states and has caused 24 pediatric deaths. The triage nurses said that the fact that people do not understand the difference between a cold and the flu is a contributing factor. Both are respiratory diseases. However, they are caused by different viruses. According to nurses in Jacksonville, flu symptoms are more persistent than cold symptoms. Patients who have a cold are likely to have runny noses or sore throats, but flu symptoms are more aggressive and usually include headache, body aches and fever. Dr. Ravi Raheja, medical director of the TriageLogic Group and Continuwell, said the biggest challenge to defeating the flu was confusion of symptoms and colds. "If you suspect that you have the flu, you should not go to your doctor's office because you could spread the disease," said Raheja. 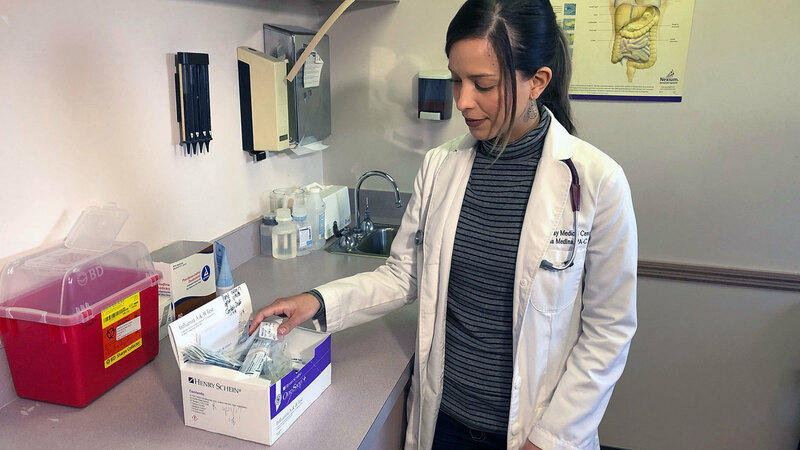 "The first thing you should do is talk to a triage nurse or a health professional who can help you determine on the phone if you really have a cold or the flu." Influenza vaccines and frequent hand washing are good ways to protect yourself against the flu. Click here for more professional advice on the cold and flu season.